Association conferences have undergone a considerable number of changes in the past couple of decades, due to several factors. For one, there is a marked increased in the number of scientific journals being published. In addition, travel is much more accessible, and communication within a scientific community is facilitated by the Internet. People can reach out to their peers online and acquire information that was simply not available before. We’re also witnessing the emergence of more and more sub-specialties and related associations (some of which are even faring better than their traditional counterparts). These are all exciting developments, as they pave the way for more frequently held events and a greater number of them. In other words, if you’re part of an association that organizes a conference, you aren’t alone. Competition can be fierce, and many associations are scratching their heads for ideas on how to attract attendees to their event. And while host city appeal, a dynamic mobile app and a fun social program are important, it all begins with an attractive and substantive scientific program. It is the very foundation of every conference. Research! Before making any selections of what to include in your program, it’s vital to scope out: What are the “hot” topics/subjects of the moment or recent break-throughs in research? Collect the final programs from related events that were held in the last few months and/or last year. You will very likely see some distinct trends that will guide you on what the most relevant topics are that will interest your demographic. You might also wish to survey your attendees: include a brief questionnaire on the registration site, so you can gather data on their interests and expectations from your event. Make sure the program incorporates a combined international and local flavor, to speak to both your local delegates and those coming from other countries. Be conscious of the number of speakers and sessions. Some conferences prefer to have a single strand of speakers to give each of them optimal visibility, though this can severely limit the breadth and scope of your program, in which case you will likely opt for a program with parallel sessions. Whichever you choose, be mindful of the number of sessions you are organizing. Sometimes a packed agenda can make attendees feel rushed. 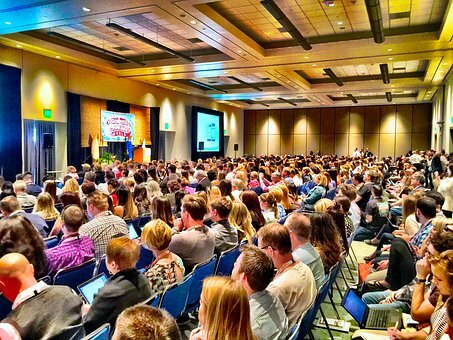 Attract influential keynote speakers. They are one of the main draws to your event and can significantly contribute to its overall success. Include pre and post-conference workshops and seminars. If you can tie in a big topic such as “new developments for a cure” (in the case of a medical meeting), for instance, these workshops will be very attractive. Pre and post-conference workshops also offer an ideal opportunity for attracting sponsorship from the pharmaceutical sector. Don’t skimp out on the closing day sessions. For smaller-scale meetings, a good wrap-up with a strong “take home message” is the best way to have your attendees leave the event with good memories that will encourage them to register again. Satellite symposia held in other cities in the same country or neighboring countries in a region can not only substantiate your program’s overall academic/scientific offerings but can also serve to attract more participants who will attend both the satellite and main conference. For example, European scientists would be incited to make the longer journey to Asia if they could benefit from the double-takeaways — both from the main conference, say, in Japan, and a satellite symposium in Korea or China that focuses more on a sub-specialty in the same field, and gives a smaller set of delegates the opportunity for in-depth discussion. If you hold a pre-satellite symposium, whatever discussions and content explored can also be fed into a session at the main conference. Satellite meetings also benefit local universities, related associations and communities, through bringing the world’s leading experts to a regional location, which normally (smaller venues, geared for smaller-sized meetings) would not have the opportunity to attract world-class scientists/thought leaders. Consider designing sessions geared for younger participants and/or those who may be attending your event for the first time. Often termed “Young Investigators sessions,” these focus on presentations by younger delegates, with constructive feedback from senior colleagues/experts. Or what about a session on career paths in conference-related fields, with speakers talking about the road they travelled? Sessions like these also encourage other young people to contribute and thereby provide an environment conducive to mutual learning among colleagues of similar ages in the same field, as well as the exchange of information with peers in other, related fields. Including sessions geared to a younger demographic can draw more registrations (and active participation). Along similar lines, sessions geared to women can also attract attendees. These can include forums on career paths, secrets to success and work-life balance, as well as appearances by prominent women speakers, who will most certainly already be on your speakers’ list. Collaborative sessions with manufacturing and engineering companies related to the academic or scientific field of the meeting can broaden your program and give your delegates another perspective. Exploring the latest developments in medical equipment combined with a company’s participation in the exhibition is one example. This not only enriches your event’s overall program and sponsorship opportunities but can also help bring innovative R&D projects into practical application.